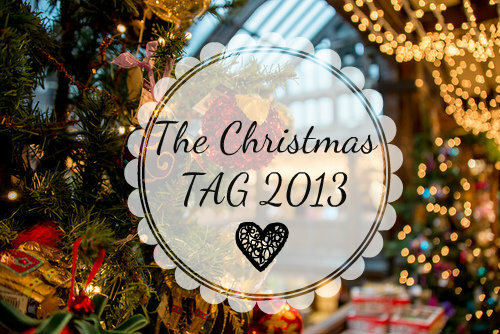 For today’s post I’m going to be doing The Christmas TAG 2013 I’ve done lots of TAGS in the past but I’ve never done the Christmas one. So I’m very excited to do it as I love Christmas it’s just such a magical and happy time of the year. Although I don’t particularly like Christmas shopping!! 1. Real or synthetic Christmas Tree? I actually prefer synthetic trees because they last longer and they don’t create a big mess like real Christmas trees do. However I do love the smell of real Christmas trees. I normally order the traditional Hot Chocolate or if it’s a sunny day then something cold like a fruited water. Yes I drink cold drinks in Winter I know I’m weird. 3. What’s your favorite colour scheme for decorating the tree? Honestly I don’t usually have a colour scheme for my tree it’s normally full of different colours I love a tree that is bright and colourful it makes me feel like the trees happy. Every one love receiving presents but I love giving them especially if it’s a special present that I know the person who is receiving it will love it. Sometimes I get over excited and tell the person hints about their present but I make sure that they never realise what there actual present is. 5. To mince pie or to not? I guess mince pies are like marmite you either love them or loathe them. I really like mince pies especially with hot custard they taste amazing. I’d love to make my own mince pies one day you never know maybe next year you’ll see a post about baking mince pies!! 6. What’s your traditional Sunday lunch? or what do we eat for Christmas? A traditional Sunday lunch for me consists of some sort of meat like chicken or beef then we usually have a selection of vegetables. Roast potatoes are a must along with a Yorkshire pudding. So a traditional Christmas dinner for me is usually a larger version of a Sunday lunch with a starter which is usually prawn cocktail and then a selection of puddings usually around 5 different puddings. I absolutely love roast potatoes which is why I always leave them to eat last. My Christmas Day fashion depends on where I am if I’m at home I’d usually wear tracksuit bottoms and a baggy top or leggings and a long top. Whereas if I’m going out or on holiday I’ll wear a nice dress not an expensive dress just a cute pretty dress. 8. What’s your favorite Christmas song? Well this is a hard question because I love so many Mistletoe – JB, Christmas Baby Please Come Home – Michael Bublé and All I Want For Christmas Is You – Mariah Carey. If you want to find out the other Christmas songs that I love then take a look at my Christmas Playlist 2013. 9. What’s your favorite Christmas film? Again I can’t actually pick a specific Christmas film that I love there’s just too many!! I love Arthur Christmas, Elf, The Grinch, Miracle on 34th Street 2004, The Muppets Christmas Carol, Home Alone, The Polar Express. I love watching Christmas movies I don’t care what time of the year it is I’ll sit at home and watch one but watching them around Christmas time is extra magical. In my family we open our presents before lunch I can’t imagine not opening them before I’d be so impatient and I’d keep asking my mum or dad to open them. Yes I’m impatient when it comes to opening Christmas presents and I’m 17 I know. 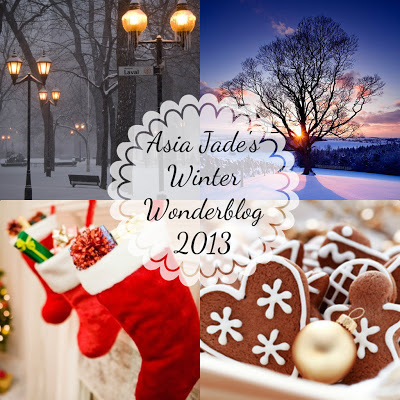 "Winter Wonderblog 2013 #7 | Gift Guide For Her/Him"